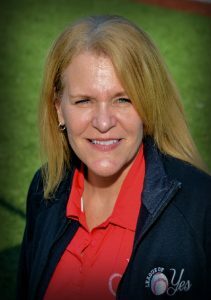 Jill is a Certified Massage Therapist and has worked at St. John’s University as a Certified Athletic Trainer for the past twenty-five years. Originally from Harlan, Iowa, Jill was acquainted with a similar baseball program her nephew Nicholas played for. When friend and League founder Kristine Fitzpatrick asked Jill to join in the new program, Jill was all in, knowing the difficulties of finding good special needs sports programs. Jill is also a kidney donor, having joined a “swap program’ that has helped save six lives.